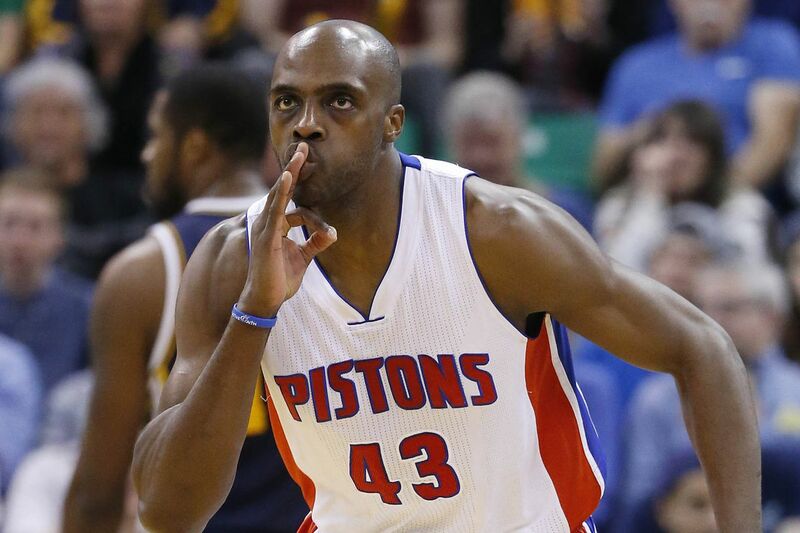 Anthony Tolliver has been playing professional basketball since 2007 and in his eleven seasons in the NBA and still counting, he has played for over a dozen teams which include the Minnesota Timberwolves, Atlanta Hawks, Charlotte Bobcats, the Phoenix Suns, the Detroit Pistons, among others. Before his NBA career, Tolliver played college basketball at Creighton and has also played for German basketball club Eisbären Bremerhaven. Read on to learn more about him. Tolliver is the son of Donna Lewis and Johnny Tolliver and was born in Springfield, Missouri on the first day (1st) of June 1985. He has six siblings (all sisters). For school, Anthony attended Kickapoo High School Springfield, Missouri, where he was one of the 4 players from his high school team to play Divison 1 basketball. During the senior season that ended in 2002, his high school team was named the Missouri Class 5A State Champions and got ranked 12th best in the country by USA Today. In the fall of 2002, Anthony Tolliver committed himself to play for Creighton. As a freshman, he played a reserve role for the likes of Joe Dabbert, Mike Grimes and Brody Deren through which appeared in twenty-seven games that season. As a sophomore, he started thirty of the team’s thirty-four games, which included a game against Missouri State at the 2005 MVC tournament championship, where he scored eight points and seven rebounds. The game ended in a 75-57 victory. As a junior, Tolliver earned second-team all-MVC honors while as a senior, he was named a finalist for the Lowe’s Senior CLASS Award, first-team all MVC, and the Collegeinsider.com mid-major All-America. He also helped his team return to the NCAA tournament and in the game against Nevada (in the first round of the NCAA tournament) which happened to be his last game as a college student, Anthony Tolliver made the 1,000 point mark – that was the most incredible way to end a collegiate career. Tolliver spent the 2007 preseason with Cleveland Cavaliers after going undrafted and much of the regular season with NBA Development League team, Iowa Energy, recording 6.4 rebounds and 11.5 points average per game. He would later play briefly with German basketball club Eisbären Bremerhaven before San Antonio Spurs signed him in July 2008. Anthony would spend the early part of the season sharing his play time between San Antonio and the D-League team, Austin. He played eleven games with San Antonio before being sent off to Austin Toros where he appeared in 6 games and recorded an average of 7.8 rebounds and 17.8 points. He would play 8 more games with San Antonio before he was waived in January 2009 and was again signed with Iowa, before he left for New Orleans on a ten-day contract after playing 3 games with the former. At the expiration of the 10-day contract which was not renewed, he went back to Iowa. Not quite long, he signed with Galatasaray Café Crown of the TBL. By December of 2009, he was playing for Idaho Stampede of the NBA Development League, he would later be signed by Portland Trail Blazers, but he only played four games for the Blazers before being released to return to Idaho. In January 2010, he signed a 10 day deal with the Golden State Warriors, at the expiration of the initial ten-day deal, the contract was renewed and Tolliver remained with the team till the end of the 2009/10 season. At the end of the season, he made an average of 7.3 rebounds and 12.3 points per game. During the 2010 offseason, he signed a 2-year deal with the Minnesota Timberwolves worth $4.5 million. He was with Atlanta Hawks for the 2012/2013 season, with the Charlotte Bobcats the next season (2013/2014) and in July 2014, he signed with the Phoenix Suns, with whom he remained with for the rest of the 2014/2015 season, recording an average of .8 rebounds and 3.3 points per game. Anthony Tolliver was traded to the Detroit Pistons in exchange for Tony Mitchell and would later play for Sacramento Kings after the Kings waived him in January 2017, he went back to the Pistons until July 2018, when the Minnesota Timberwolves signed him. Tolliver has been happily married to his wife, Jessica Svoboda since 2011. The couple met at Creighton University, during their freshman orientation. they became friends and like the saying goes: “the rest is history.” The couple has two wonderful kids together. Asked when and how he would like to die, Anthony, said he would like to die at the age of ninety lying next to Jessica. He would prefer they go together but that will be if ‘she’s up for it,” he quickly added. The small forward stands at the height of 6 ft 7 in (2.03 m), weighing 240 pounds (109 kg) which goes quite well with his height. No doubt, his success on the basketball court can be attributed to his physical features to a large extent.